Paige Dolecki - Stampologist: Pre-Order the NEW CTMH Artbooking Collection! Click HERE to see the Cricut Artbooking Handbook! Then check out my Pre-Order Special below! Available only through Stampologist.com through July 31st! When you Pre-Order your new Artbooking Cricut Collection I'll give you FREE SHIPPING! (US only) In addition, I'll send you a copy of the brand new Idea Book EARLY after you place your pre-order. When you find more must-haves, you can add to your order by contacting me before August 1st and if your order totals $150 or more, you'll receive Hostess Rewards to boot! Everything will ship together on August 1st! Check the e-mail you give at check out to make sure I can contact you there to confirm your order and send you shipping information! Pre-orders will be taken through the end of July and placed on August 1st. They'll be shipped directly to your doorstep from our corporate warehouse and you won't have to worry about a thing! 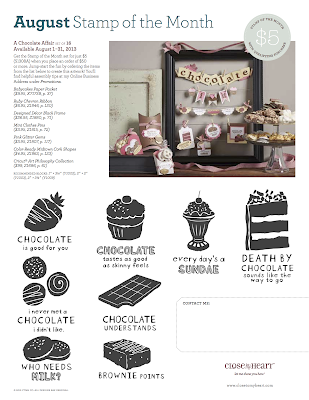 Your Pre-Order also makes you eligible for the August Stamp of the Month for just $5 extra - its a fun chocolate themed set at a delicious price for you! I'm basing the tax off my rate of 8.6% for the PayPal drop box - shipping will be FREE! 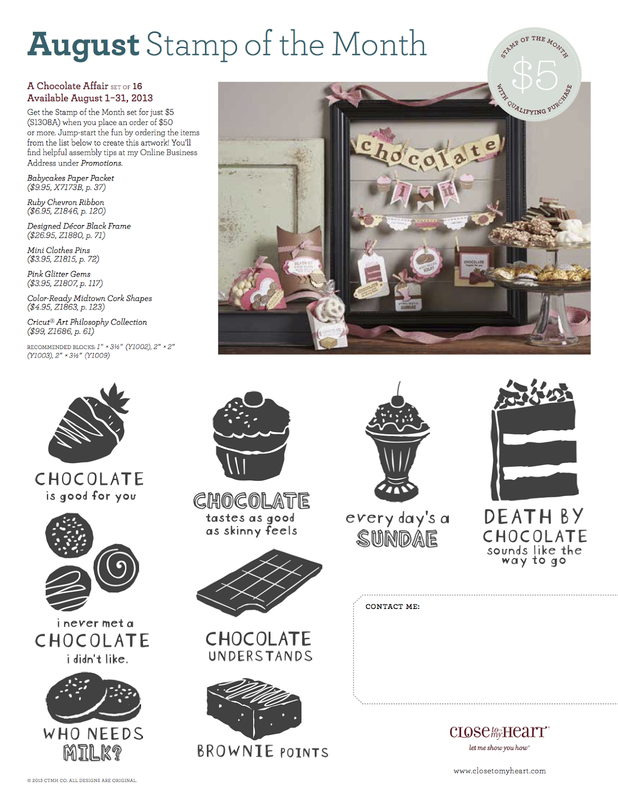 There is a drop box option to add the delicious "A Chocolate Affair" August Stamp of the Month for just $5!